The Library’s Board of Trustees regularly meets from 3:30 pm to 5:30 pm on the third Thursday of the Months. The meeting is rotated between the three libraries. The next board meeting is here. Changes to this schedule will be announced on the Library’s website. Members of the public are welcome to attend. Regina Roberts moved to Tazewell County at age six. She has been a resident for 36 years. As a registered nurse, a certified natural health professional, and a classical educator sh has been a life long public servant. Together with her husband Aaron Roberts, they have been involved in ministry locally, and internationally. Homeschooling their three children for nearly twenty years she has seen the importance of reading and the vital impact of great books. Truly, she has observed that ‘readers make leaders’. She is committed to the library at the heart and soul Tazewell County. Happily, she has served on the TCPL board for the last three and a half years. 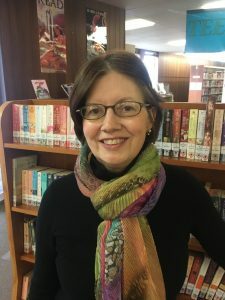 Elected chair in 2017, over the Library board, she seeks to inspire the community to love learning. Over those two years she has seen a lot of changes in administration and leadership. She looks forward in anticipation for the coming years, partnering with the new Director: Erica Hall. Connie Bailey is a freelance writer, editor and journalist. She is currently managing her Bluberry Goat Haven farm, which provides the inspiration for her goat stories and goat greeting cards. She is also employed as a substitute teacher in the Tazewell County Public School system. Her home is listed within the Airbnb community and she has enjoyed hosting tourists to Tazewell County from more than a dozen countries. She spent 15 years as a science writer, project manager and communications specialist for the U. S. Department of Energy’s Ames Laboratory in Ames, Iowa before returning to her native Tazewell County in the late 1990s. She was a full-time caregiver for her parents for a lengthy period and later resumed her writing as a reporter for the Tazewell County Free Press. She earned a B.S. in journalism from Iowa State University in 1982 with partial graduate work in public relations. 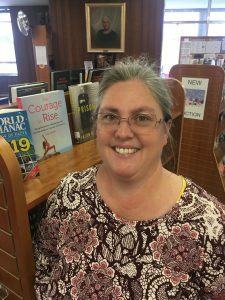 Ms. Bailey grew up in Bluefield, Va., graduated from Graham High School, and holds fond memories of the Tazewell County Bookmobile that brought books to her neighborhood. 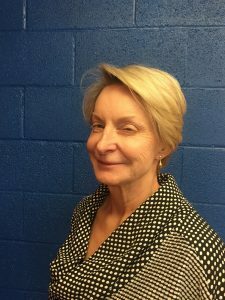 In her free time, she enjoys cooking, reading poetry, hiking, and participating in her church and the recovery community. The Board of Trustees of Tazewell County Public Library permits citizen participation concerning library service and provides an opportunity for such involvement during regular meetings of the Board under the following procedures. Citizens may request to address the Board at the appropriate time allowed on the agenda for public comment. Requests must be in writing and must be received by the library director at least ten (10) days prior to the meeting date. Speakers will be notified of their time on the agenda. Following all scheduled speakers, any citizen who is present may request five (5) minutes of speaking time during Public Comment period. Comment must be on legitimate matters of library business. Comment is limited to five (5) minutes per citizen. Board members may ask questions of the speakers. Citizens offering comment must be residents of Tazewell County or own property located within Tazewell County. Opportunity for citizen comment should be used to improve delivery of library service in a positive way. No citizen may engage in political statements, personal attacks on members of the Board of Trustees or staff or any other person, nor is any person entitled to use abusive language or discuss matters outside the purview of the authority of the Board of Trustees. Matters brought before the Board will be taken under advisement to allow time for due deliberation. Action on such matters is not taken at the time of presentation to the Board. Speakers will be notified of the Board’s decision within seventy-five (75) days. If a matter requires a longer period of time for resolution, the speaker will be notified of the interim status. Written statements may be submitted for consideration by the Board.